My quest for getting rid of dandruff introduced me to yet another shampoo. 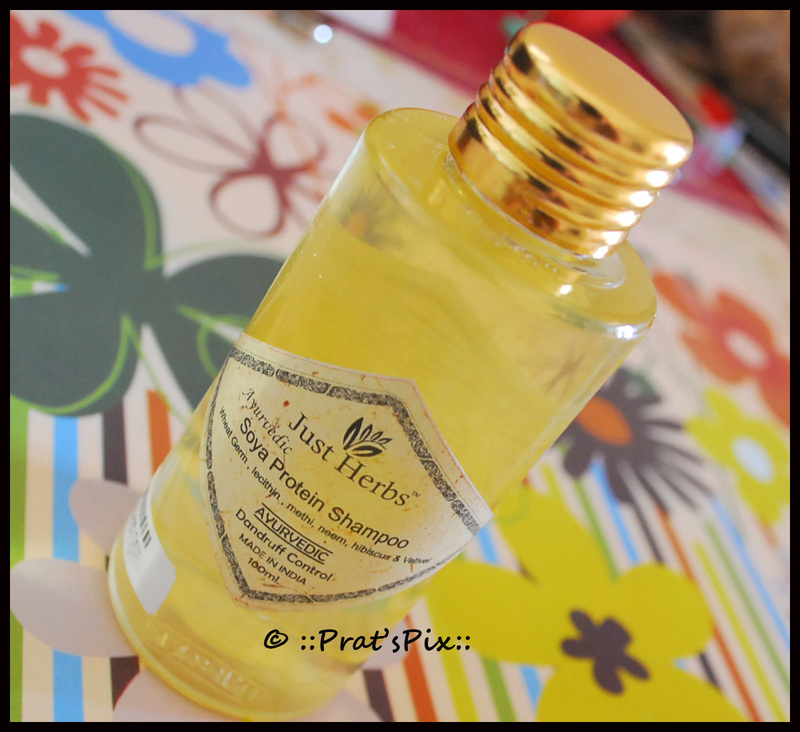 The shampoo I refer to here is the Dandruff Control Ayurvedic Soya Protein Shampoo by Just Herbs. I’ve used quite a few shampoos to help me combat that dandruff, but very few have been effective. The reason I look for more than one shampoo is because if I tend to use the same dandruff shampoo for a long time, the effectiveness of the shampoo tends to get lesser. The shampoo does cleanse your hair really well, but I did not notice any particular reduction in the dandruff which was quite a let down. I had to use a conditioner post washing my hair, because it left my hair a bit limp. I used Jungle by Lush as a conditioner. My hair was definitely better post the usage of the conditioner. The shampoo does not have a really good fragrance so I was left this weird smelling hair till I rewashed my hair. I did not like the packaging either. It comes in a bottle with a screw cap and it should have been in a squeeze tube or a nozzle pump. It becomes difficult to get the shampoo out of the bottle towards the end, unless I chose to dilute it with water and pour out the entire things. Wet hair, use a generous amount of shampoo, lather really well and let it stay for at least two minutes on your hair before you wash it off. You will notice cleaner hair. Priced at Rs 225, this 100 ml bottle has a shelf life of two years from the date of manufacture. You can buy this from their store. If you are looking for it to reduce the dandruff, I am not sure if I would want to recommend it because at least it did not help me in reducing the dandruff even marginally. Though I must add that it did cleanse my hair really well. This mild shampoo is prepared with Soya protein, wheatgerm and other precious herbs such as methi, neem , hibiscus, vetiver and Lecithin which make your hair visibly soft, lush and conditioned. 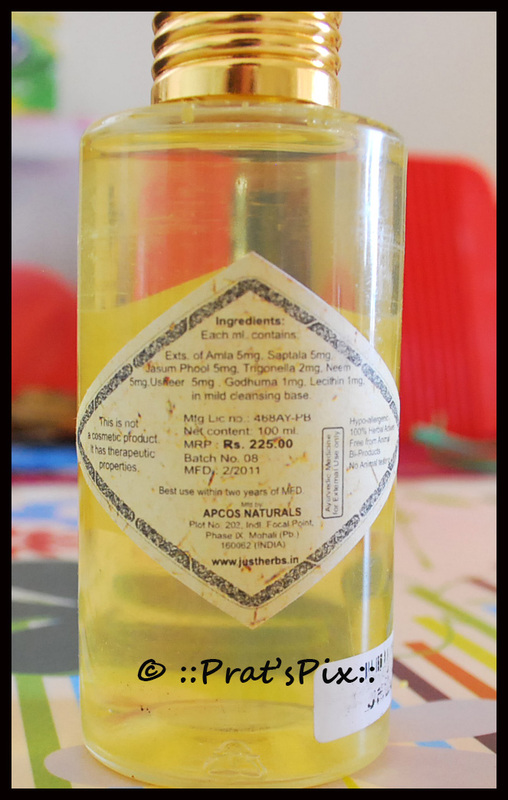 Key Ingredients: Amla 0.5%, Hibiscus 0.5%, Neem 0.5%, Shikakai ext. 0.5%Vetiver 0.5%, Trigonella seed 0.2%, Wheatgerm oil 0.1%, Soy lecithin 0.1%. Other Ingredients:Aqua, Decyl Glucoside*, Cocoamidopropyl Betain,Cocoglucoside glyceryl oleate*, Sodium cocoyl glutamate*, Acrylate copolymer, Aloevera leaf juice*, Dicaprylyl ether lauryl alcohol*, Triethanolamine, Disodium EDTA, Potassium sorbate,Sodium benzoate,Herb-Essential oil complex(natural preservative),Citric acid (ph adjuster), Fragrance. Build-up is a problem with all shampoos but especially dandruff shampoos. I want to switch to Lush shampoo bars. Have you used them? Would love to know your opinion. I’ve used a lot of the shampoo bars from Lush and my favourite one is Jumping Juniper, that I will review for sometime this week. Most of their shampoos need to be followed up with a conditioner. And I use Jungle by Lush.